Pera Pera is a property investment and fund management company based in the centre of Istanbul. Pera Pera is a pioneer in the restoration and rejuvenation of mixed use properties in the historic neighbourhoods of Istanbul, Sofia and Adana. 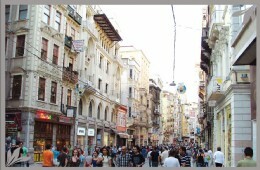 Pera Pera manages $100m of property investments in Turkey and Bulgaria. The company has completed 13 renovation projects since 2006 and is in the process of completing a further seven projects during 2012 and 2013. The management of Pera Pera established one of the first foreign property funds (the East European Property Fund or the EEPF) to invest in the Turkish commercial property market. The Fund was established with the support of leading international investment funds and has assets of around $50m. Pera Pera arranged with HSBC on behalf of EEPF, one of the first international template commercial property loans in Turkey. An interest-only five-year $17.5m property loan in December 2007.